We offer part & DIY livery at Burnt Ash with services provided whenever required. All the hay & haylage provided is taken from our own land & made by ourselves, to ensure the best forage as possible at the most competitive price in the area. If you are interested in keeping your horse at Burnt Ash, please get in touch to come and see what your horse has been missing ? We have almost 40 acres of good turnout with Cotswold dry stone walls providing excellent field boundaries along with mains electric fence. 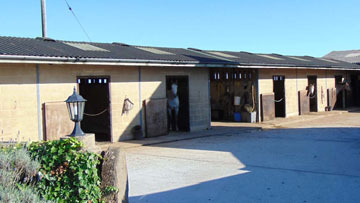 The stable yard consists of both modern & traditional stabling in a well structured, secure & organised yard with great vehicular access. Our stables all have large water drinking bowls & rubber mats. The livery includes use of our 20×60 floodlit outdoor school Floodlit Outdoor All Weather rubber & sand School. The school is available at almost anytime for horses stabled here. In the summertime we open a paddock for show jumping, usually after our horse show for a short period. There is a good selection of show jumps that make up two large jumping rings. 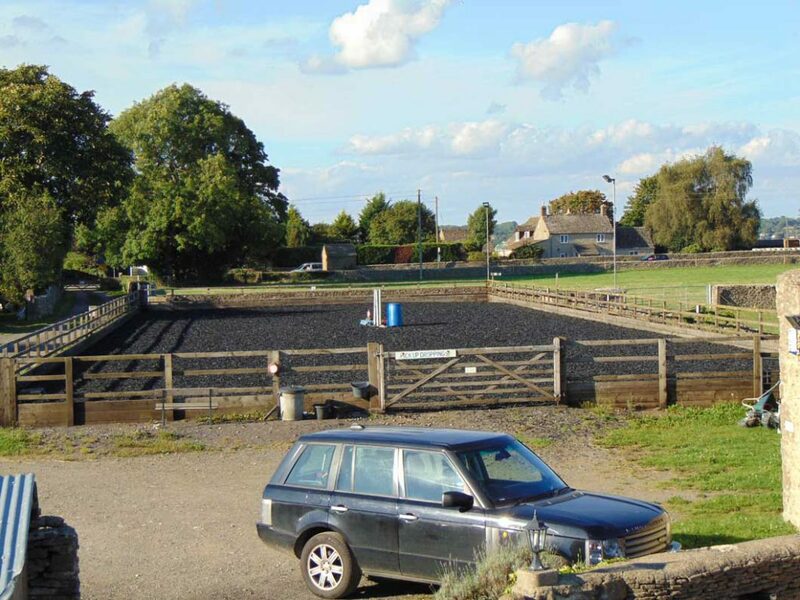 We are situated beside 600 acres of common land that is Ideal for hacking, it can be easily accessed without too much time on the road via a small common & a quiet road between houses.